Eleven Jamaican artistes have been identified and listed as "Acts Keeping Roots Reggae Alive" on MTViggy. Among the powerful 11 is Nesbeth who has been since 2014, experiencing positive outcome and turn of events in his career that is not only long in coming but well deserved. Written by Jesse Serwer the piece made clear the writers own proclamation as to why these artistes are seen as 'saviours'' of Roots Reggae. Here, we are happy to share excerpts of that article with you.. The music vibrations coming out of Jamaica as firmly tilted back in the direction of roots reggae and other conscious expressions"
Among the many legacies the late Bob Marley left his native Jamaica is the world's most recognizable brand of conscious music....Reggae has moved onward since Marley's passing in 1981, but Bob has remained the template for all soul rebels, from firebrands like Buju Banton and Sizzla to his sons Stephen and Damian Marley to reggae's newest superstar, Chronixx. With the musical vibrations coming out of Jamaica firmly tilted back in the direction of roots reggae and other conscious expressions, here's a look at 11 active message-oriented newcomers from the island worth keeping tabs on. 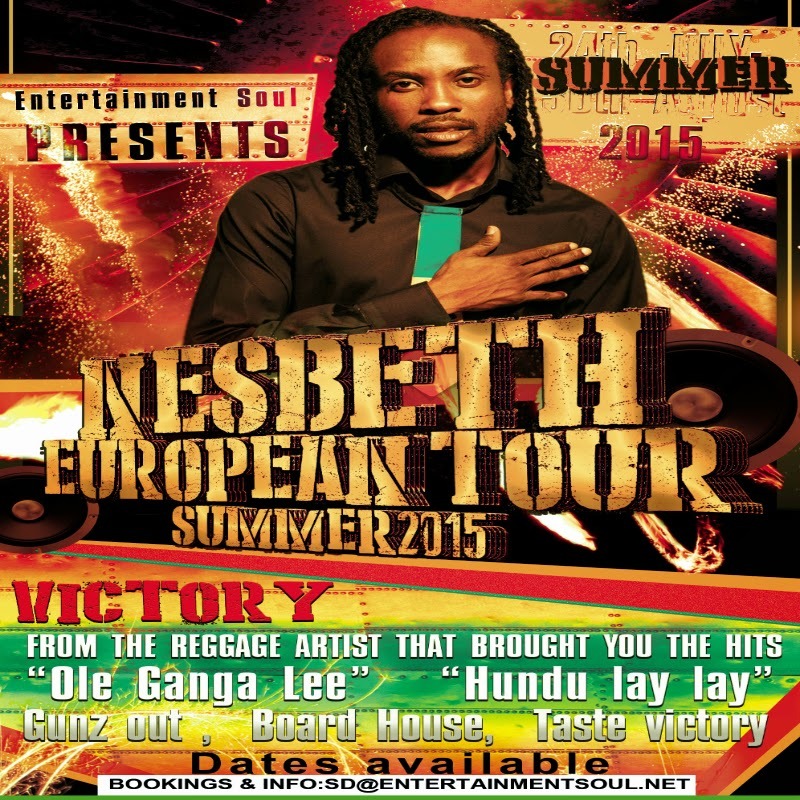 As a result of a highly successful year 2014 that has seen his career springboard into 2015, Team Nesbeth will embark upon his first tour of Europe to promote his current EP 'Taste Victory.' With open dates on the calendar, interested promoters are encouraged to make bookings.